It’s 1925 when Pietro Martinelli discovers a new wood polish formula while on a trip to England. 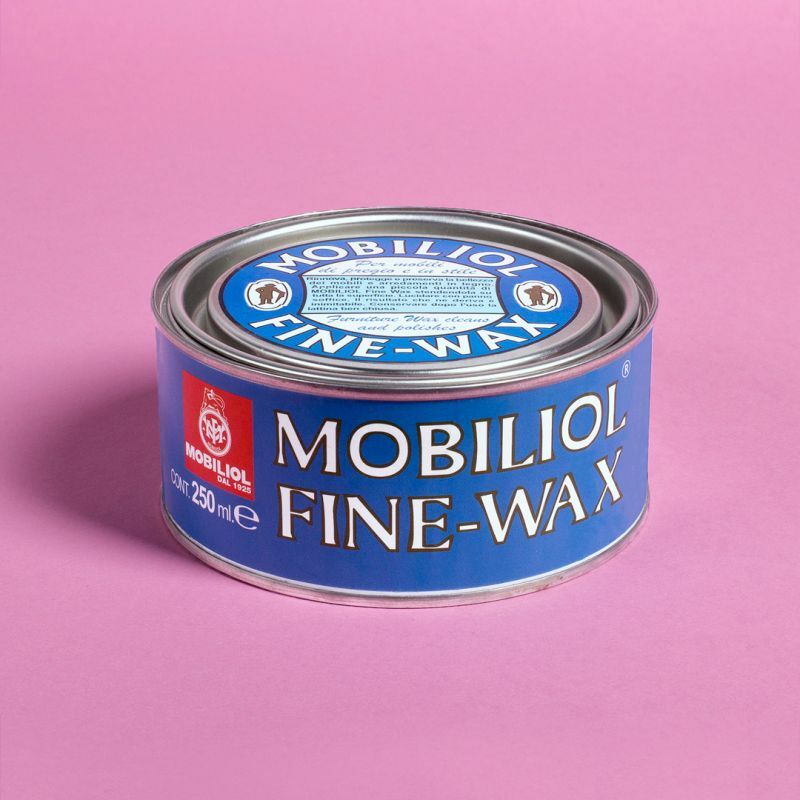 The product cleans in an excellent way and so he decides to market it in Italy under the name Mobiliol. Thanks to its success, he quits his previous job as a grocer to dedicate himself to the detergents world. He creates Metallor, metal cleansing liquid, which nowadays is still used to polish the brass of the Amerigo Vespucci, the historical Italian Military Navy tall ship. In '29, the company passes to his sons Rodolfo and Roberto, inaugurating a period of great innovation: the launch of new detergents, such as the Fata (fairy) wax, is accompanied by a sophisticated communication strategy. At the time, Viareggio is “the” place to be for intellectuals, actors and writers who are fascinated by its dolce vita. Avant-garde artists such as Depero and Thayaht live here and the city attracts free spirits from all over Italy. Mobiliol’s advertising posters reflect this progressive atmosphere, by using a modern visual language: in 1932, for example, it is the painter Uberto Bonetti that draws the Metallor affiche. Having adhered to the principles of aero-futurist painting, he decides to use a bird’s eye view. He represents a servant who opens her arms in front of the detergent. But the real coup de théâtre is to place them on an oblique suspended pan. The diagonal cut “moves” the whole picture attracting the eye to its ideal center: the perfectly polished copper disc. After World War II, the rebirth of the company is linked to a new product: Mago (the wizard), an insecticide (now based on natural pyrethrum), represented by a sorcerer who casts a spell on a group of insects. Today, these company's milestones are still in production, thanks to Pietro Martinelli and to his nephew Nicola Tortora who carry a great cultural operation, by transforming a detergent into a premium time machine capable of reawakening Viareggio's Belle Époque atmosphere in every house.